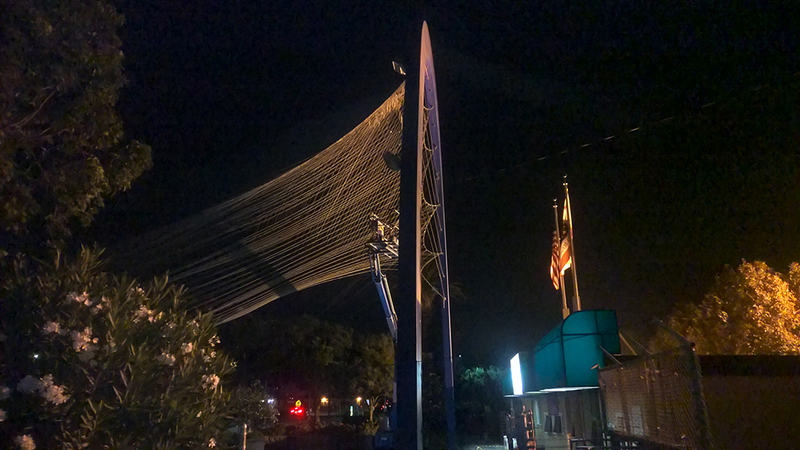 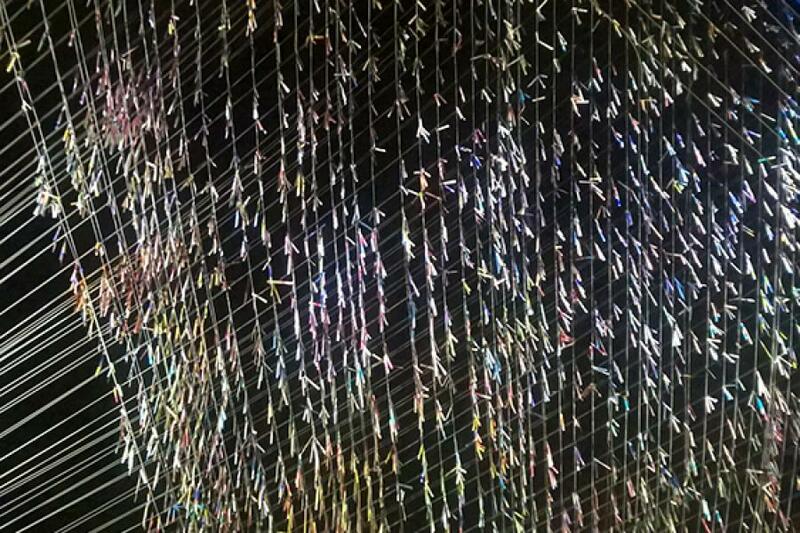 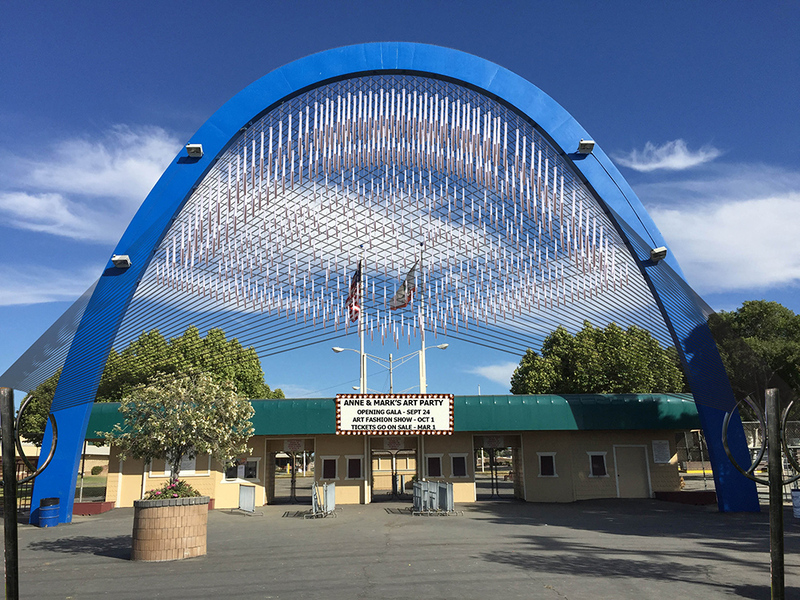 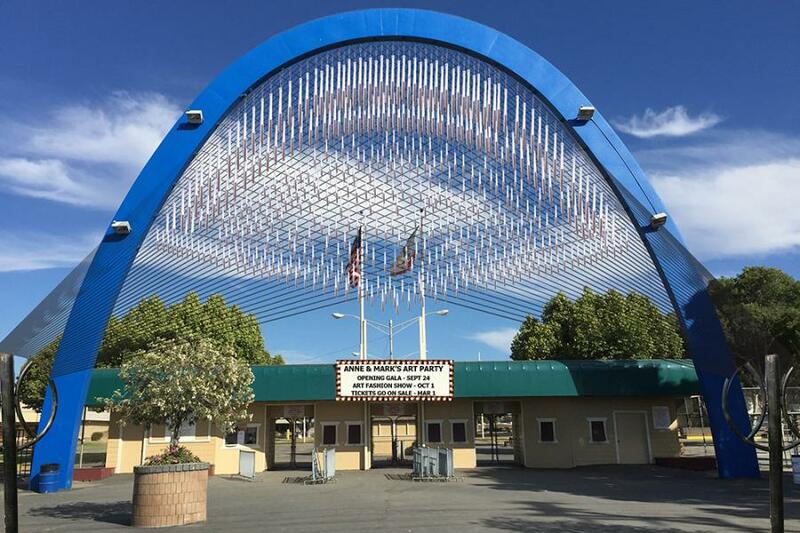 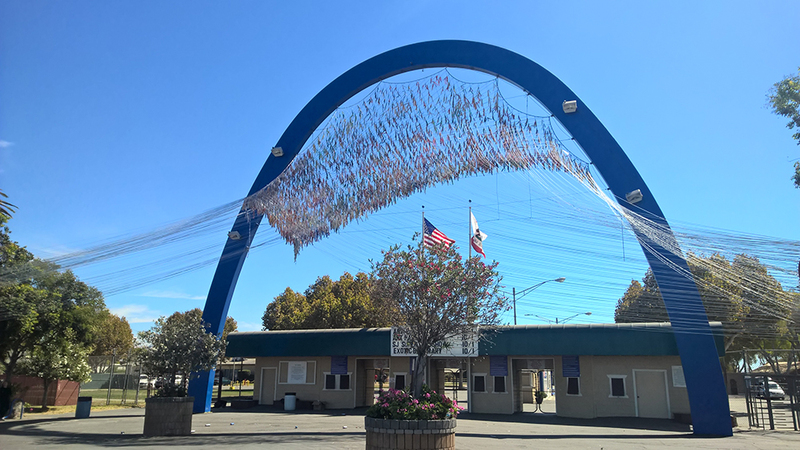 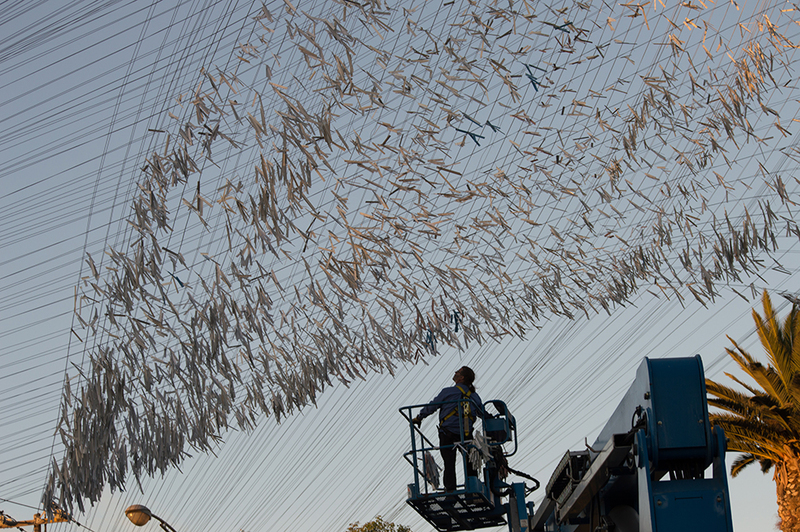 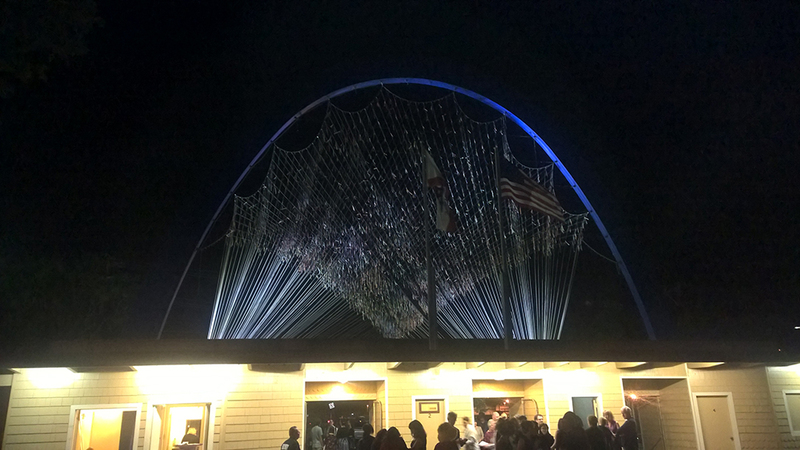 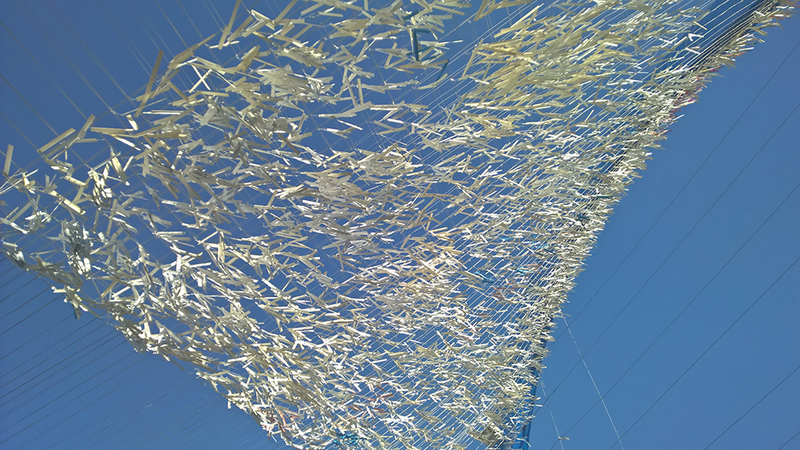 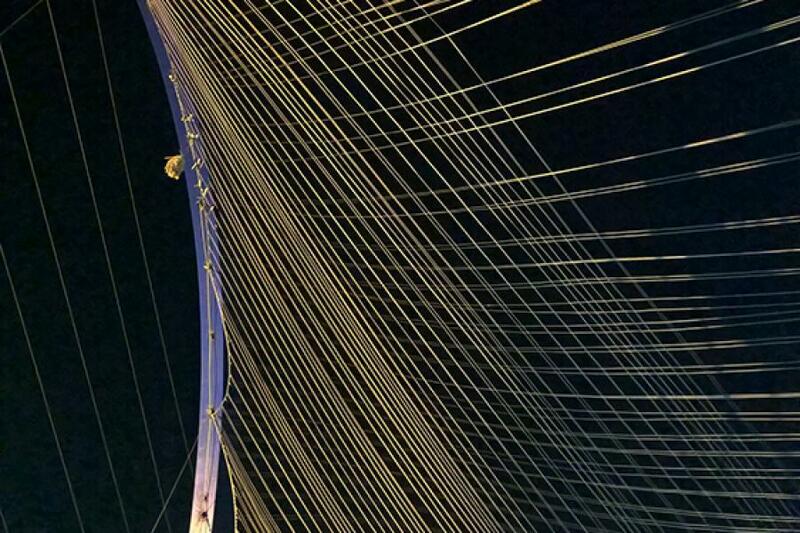 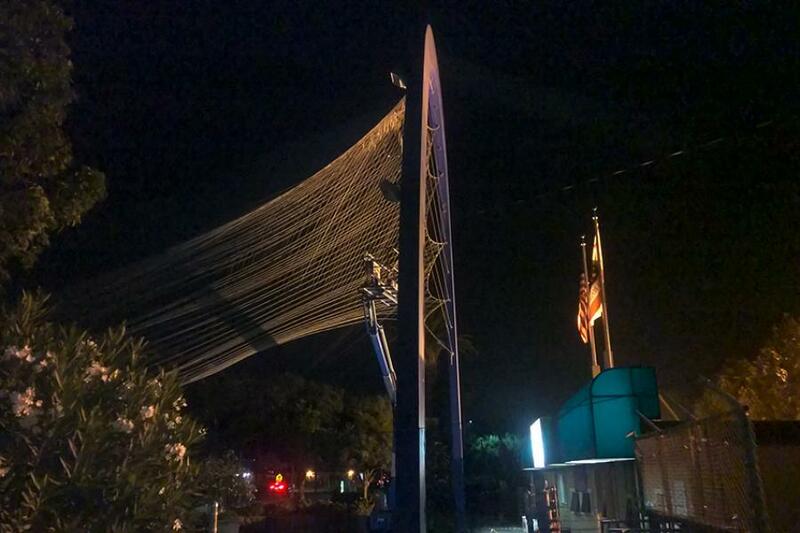 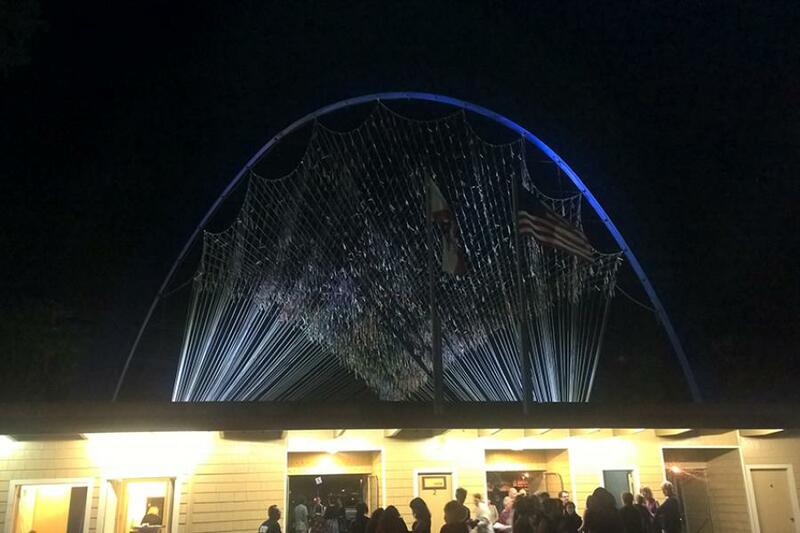 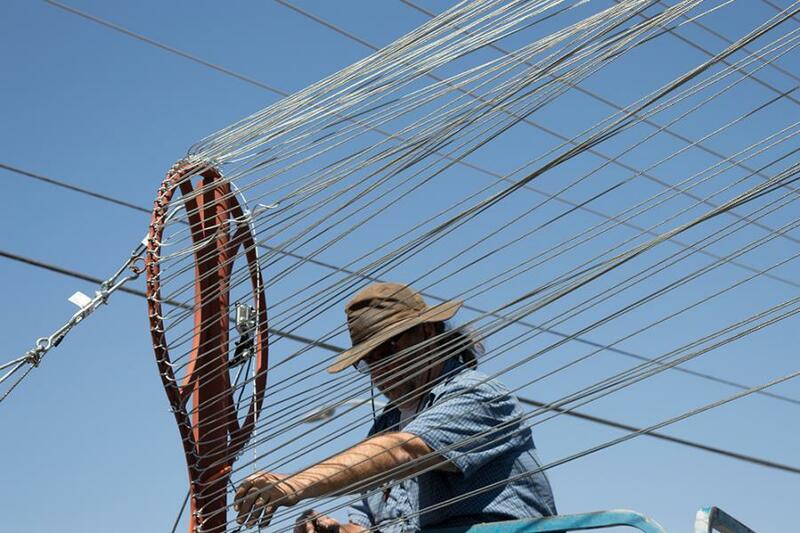 “Blowin’ in the Wind” was a temporary steel cable weave installation at the Santa Clara County Fairgrounds for Anne & Mark’s Art Party in 2016. 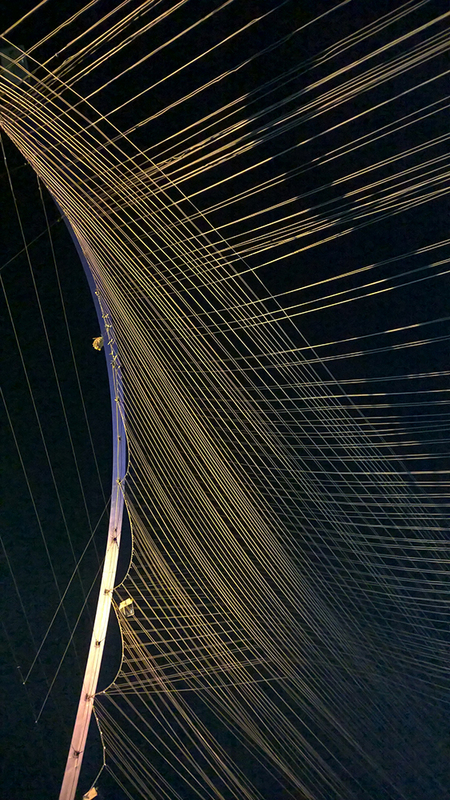 The steel cable is woven and anchored based on the Fibonacci sequence. 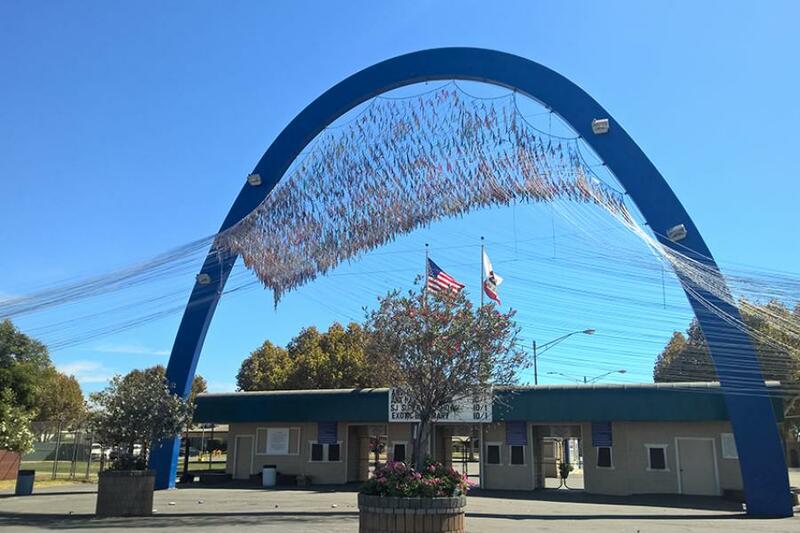 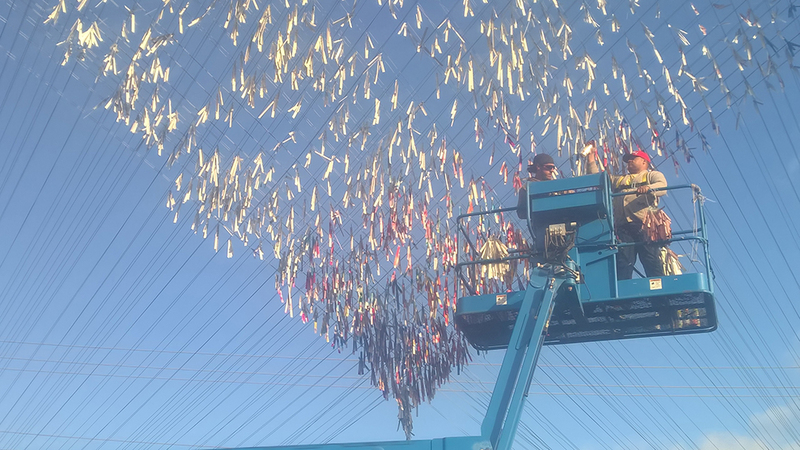 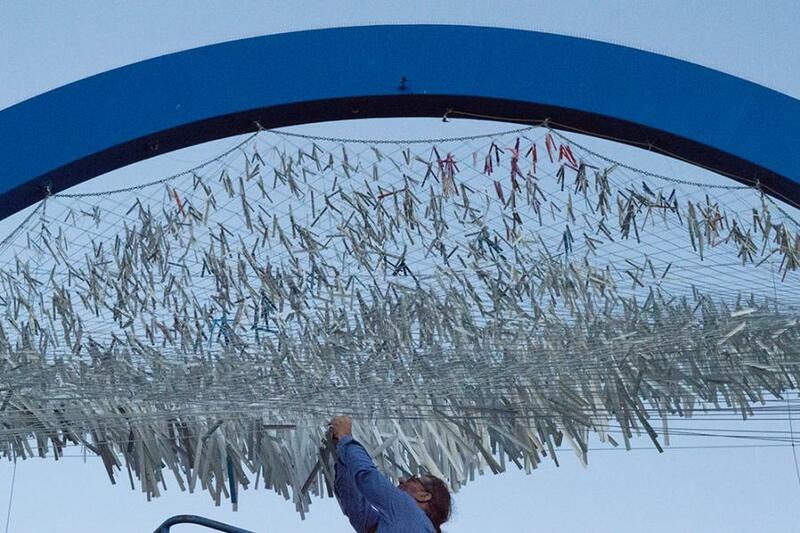 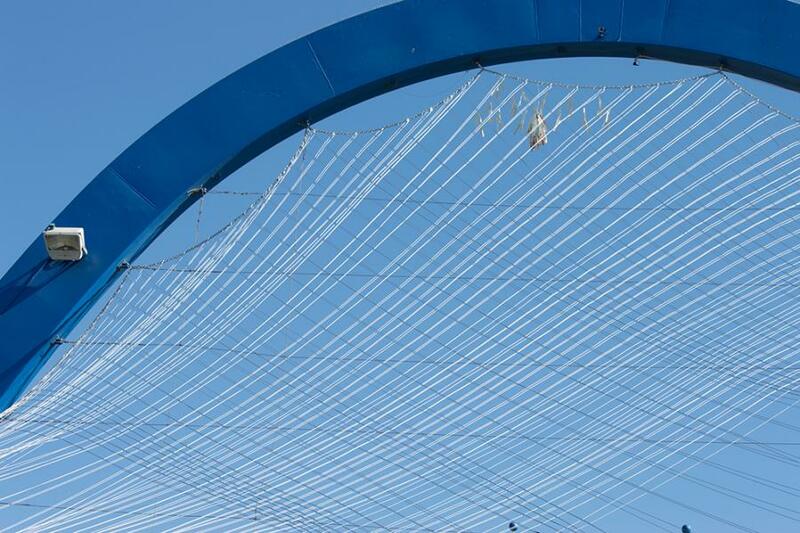 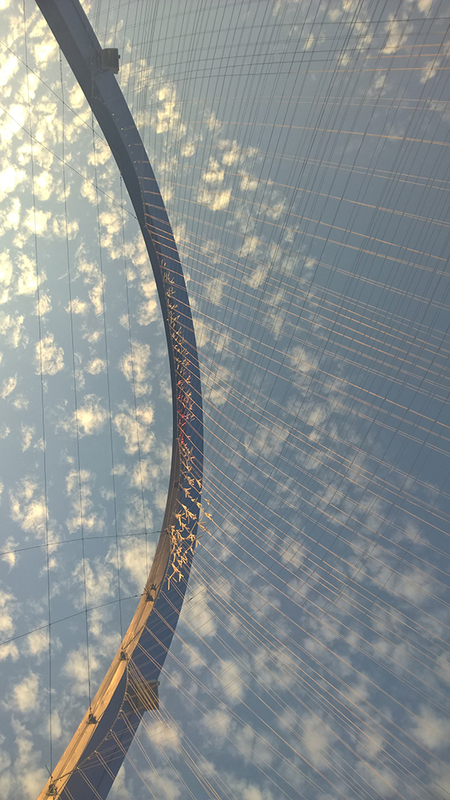 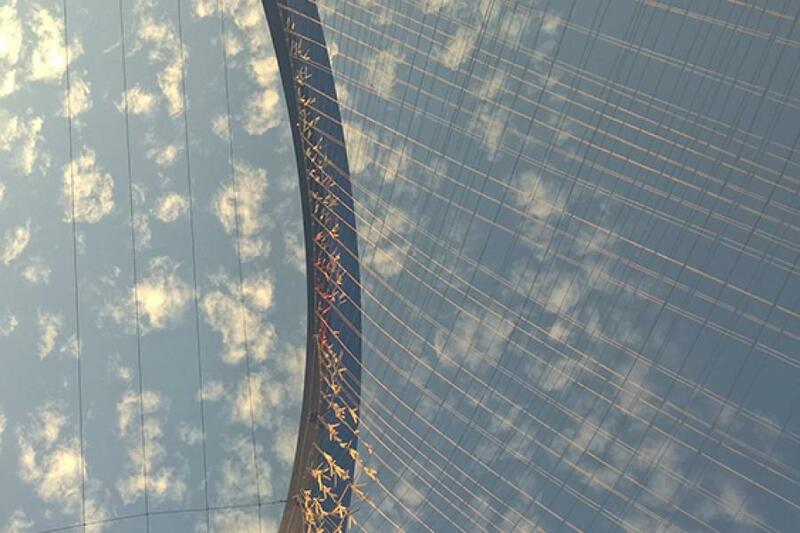 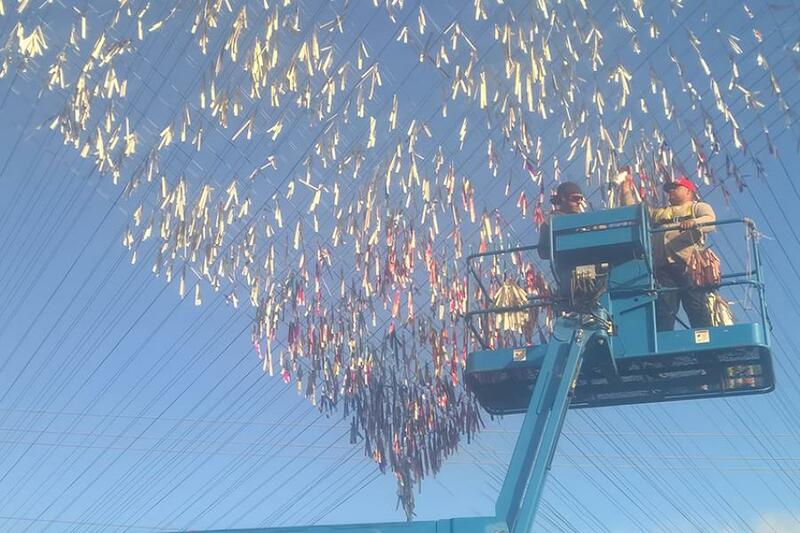 The installation was installed at the iconic fairground arch creating a grand main entry for the event. 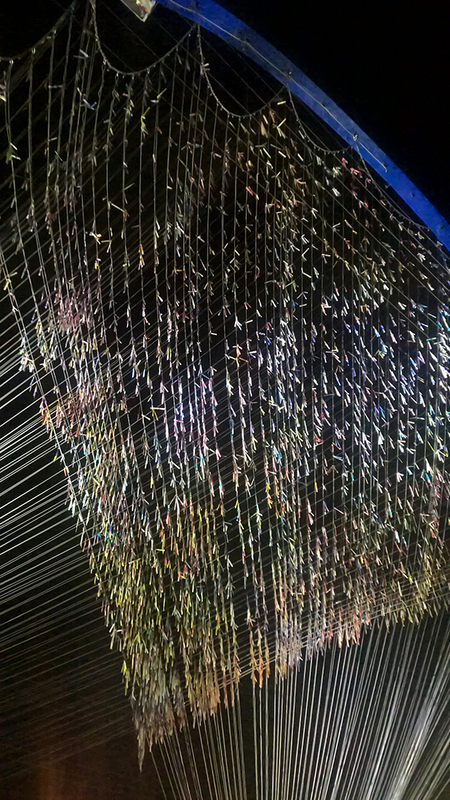 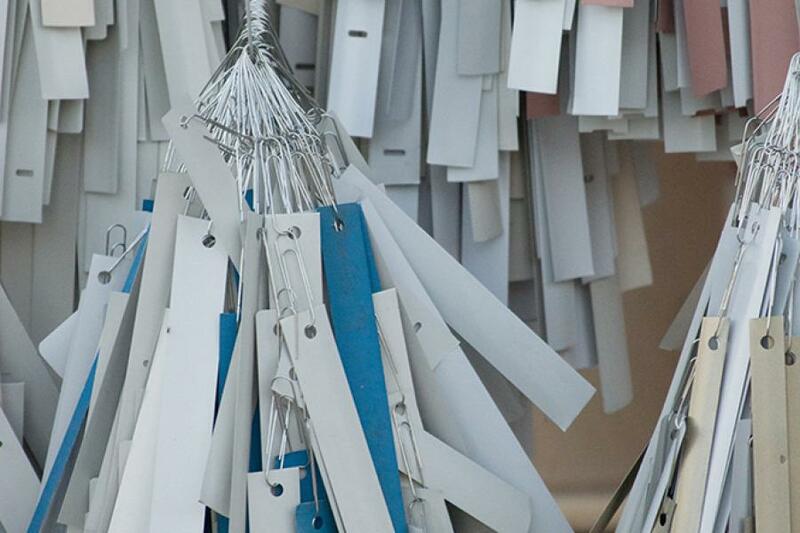 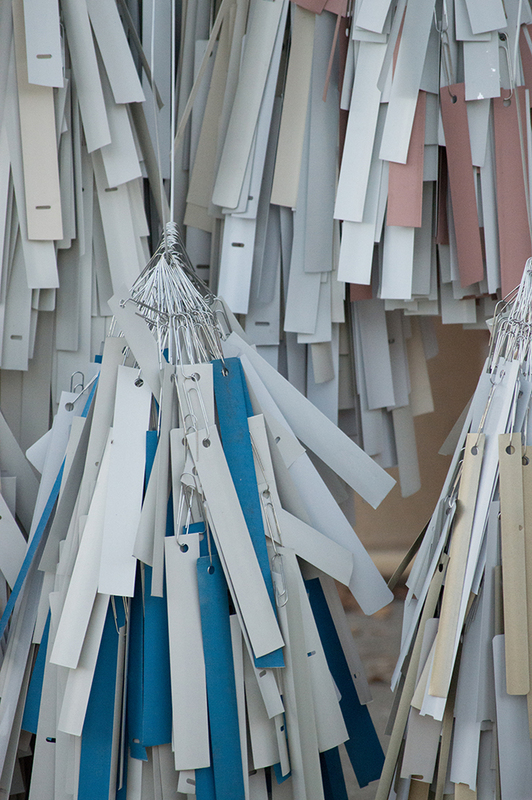 Strands of cut metal mini-blinds were strung together based on the Fibonacci sequence, spray painted and hung from the steel cable intersections. 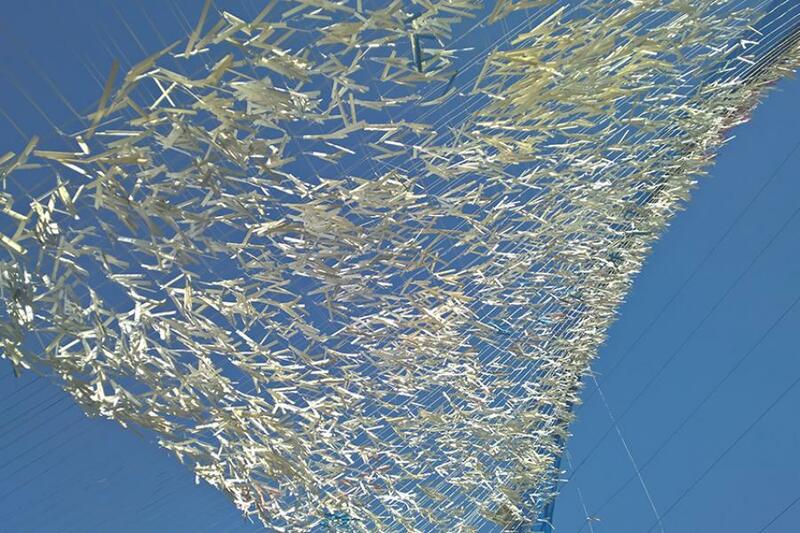 The sound of the mini-blinds blowing in the wind mimicked the sound of leaves rustling in the trees.